Resolution Capital | 2018 GLOBAL REIT FUND MANAGER OF THE YEAR – FIFTH CONSECUTIVE WIN! Resolution Capital has taken out the honour of Global REIT Fund Manager of the Year at the 2018 Professional Planner | Zenith Fund Awards. This represents an unprecedented fifth consecutive win in the category, and comes soon after Resolution Capital Global Property Securities Fund (the Fund) marked its 10 year anniversary, on 30 September 2018. 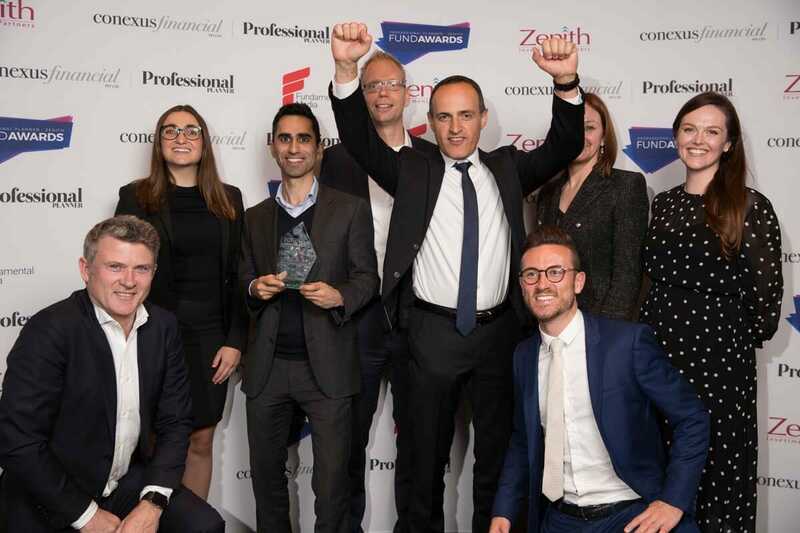 The annual awards recognise excellence in funds management, as judged by Zenith’s robust methodology, which examines each manager’s investment philosophy, expertise of the investment team, investment process, portfolio construction, risk management and performance. The Fund’s strategy is to offer exposure to liquid, high quality global real estate. This is achieved by selectively investing in securities in some of the world’s leading listed real estate platforms, typically in the form of Real Estate Investment Trusts (REITs). These vehicles own and manage property weighted toward the world’s most desirable markets, including New York, San Francisco, London, Hong Kong, Tokyo, Berlin, Paris, Sydney and Melbourne. The Resolution Capital Global Property Securities Fund has produced a return of 10.4% p.a. net of fees since inception (30/09/08), outperforming the Benchmark* (7.4% p.a.). Image: Marco Colantonio, Director/Portfolio Manager, and team accepting the award. *From 1 April 2015, the benchmark changed from UBS Global Real Estate Investor Index (AUD Hedged) Net TRI to FTSE EPRA/NAREIT Developed Index ( AUD Hedged) Net TRI. This communication was prepared by Resolution Capital Limited (“Resolution Capital”). The information in this communication is for general information purposes only. This communication is not intended as a securities recommendation or statement of opinion intended to influence a person or persons in making an investment, financial or any other decision as it has been prepared without taking account of any person’s objectives, financial situation or needs. Resolution Capital believes the information contained in this communication is reliable, however no warranty is given as to its accuracy and persons relying on this information do so at their own risk.